At Pilates Fitness Club we focus on precision and control of all movement. We invite all who are interested in improving their fitness level, losing body fat, changing their physique, increasing strength, preventing physical injury, continuing post-rehabilitation, gaining energy, perfecting posture, or simply breathing properly to come experience a Pilates class of contrology in our studio. 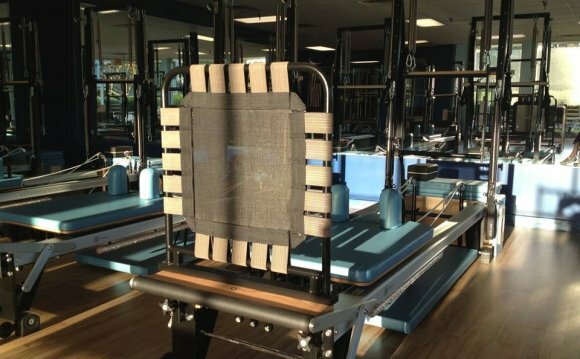 Whether you are interested in a Private Pilates Class, completely individualized attention, or a Duet Pilates Class, shared with a family member or close friend, or a group Pilates Reformer and 1/2 Cadillac class, accommodating up to a dozen students per class, we are here to serve you. After high school, Christopher entered the Marine Corps where he wrote exercise programs for corporate physical training and personally trained fellow marines one on one. Upon finishing his contract with the Marine Corps, Christopher began his formal studies of biomechanics. Christopher founded Pure Energy Health & Wellness while completing his Bachelor of Science in Kinesiology. After receiving his degree in Kinesiology with concentrated studies in Nutritional Sciences, Christopher continued to offer biomechanical sound training specifically in the movements of swimming, skim boarding, biking, running, and weight training. During the 5 years after completing college, Christopher continued his education in advanced core stability training. After experiencing a back injury in 2007, Christopher was introduced to Contrology, more commonly known as The Joseph Pilates Method. Christopher completed over 1, 300 hours of practical application before he began teaching.